Previous to joining Modul8tion, Joe Cashman served as a Designer at Large and Visual Effects Supervisor for “Shuttle Launch Experience,” ultimately leaving his mark on the project in multiple areas of this Thea (Themed Entertainment Association) Award winning production from concept through completion. Produced by BRC Imagination Arts for Delaware North Company and NASA. 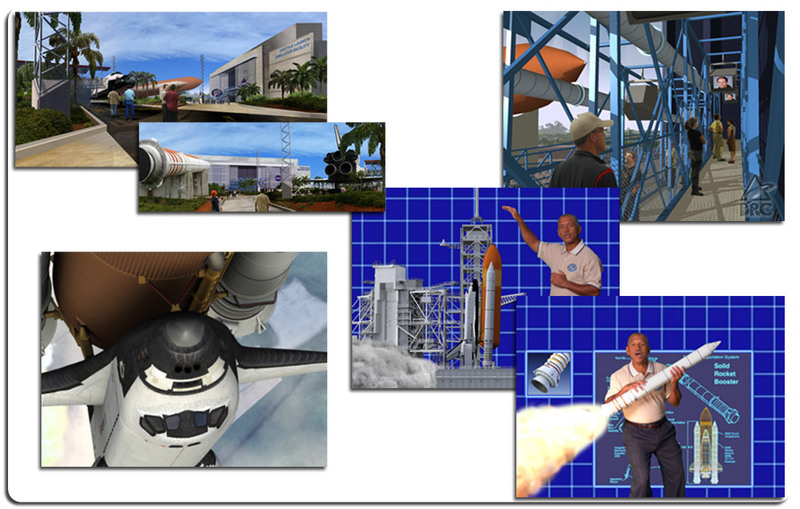 This attraction simulates the launch of a space shuttle, along with a payload dispersal from the cargo bay. It is one of the most popular tourist destinations in Florida. You can see more about this attraction at the official site.